Lots of times at bread and bakery shops, each specializes and houses a particular style or type, whether it be Parisian, or Eastern European. 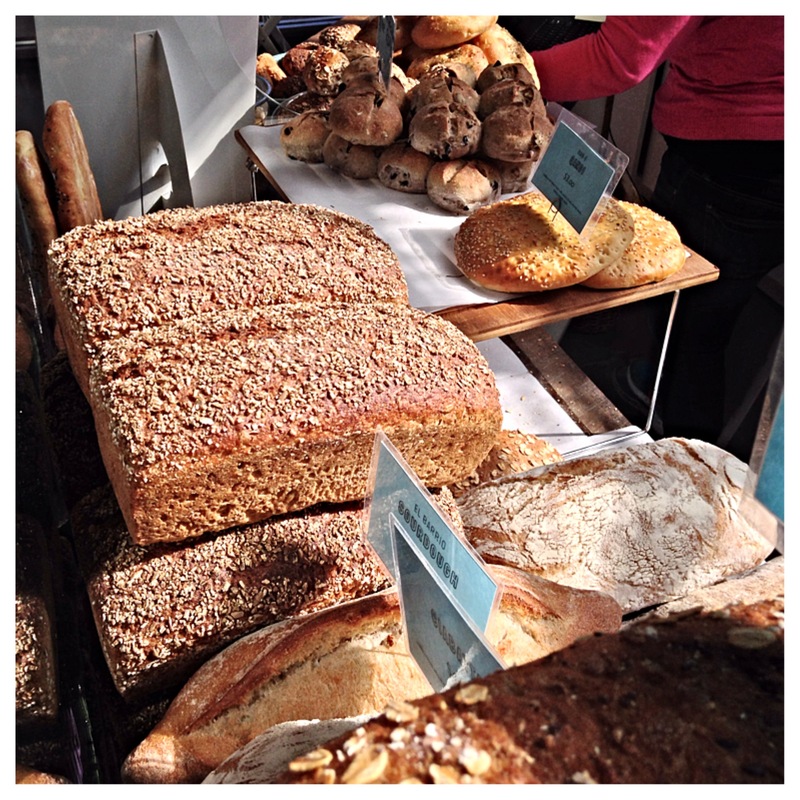 But, At Hot Bread Kitchen in East Harlem, you can choose from an array of multi-ethnic breads. 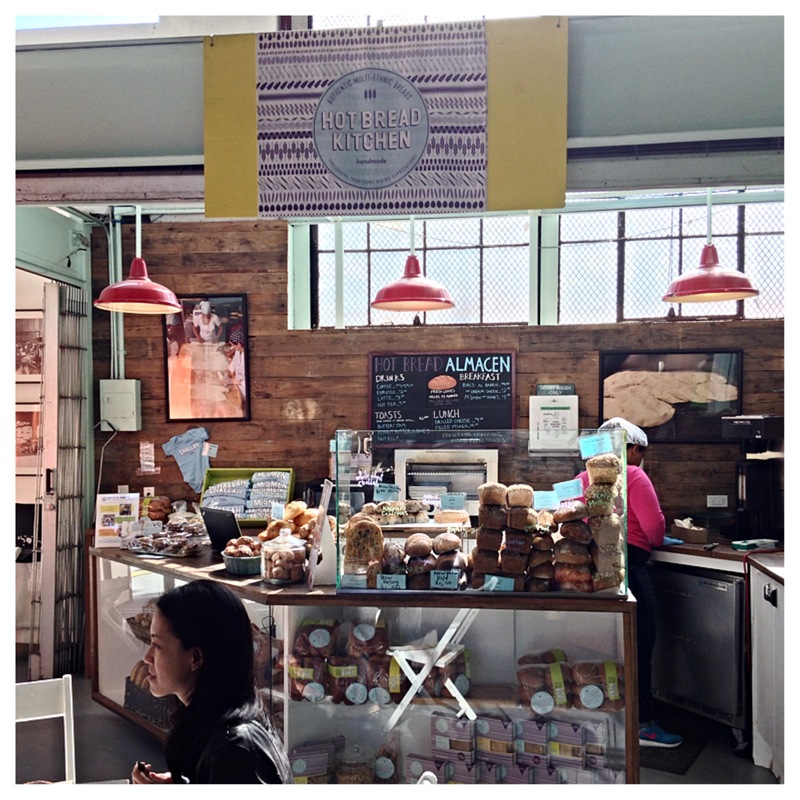 Located in La Marqueta, they produce all of their breads on-site, from loaves of bread, to tortillas to lavash. Everything looked great, but I decided to try a couple of things. 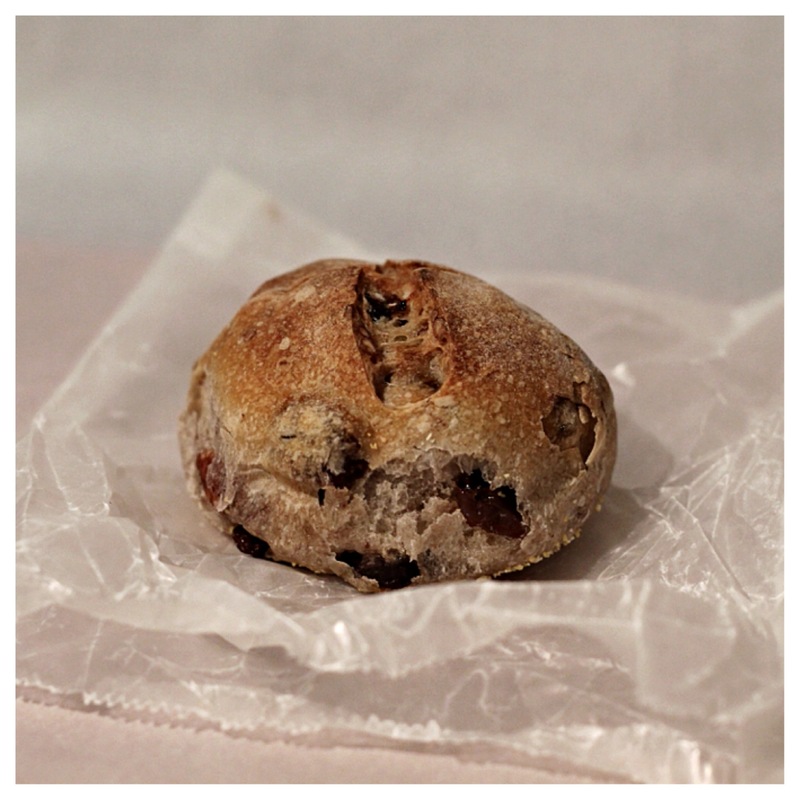 First, I went for their Pecan Raisin Roll. The bread itself has a nice crust on the outside, and a softer texture in the center, with almost a bit of that bite sourdough bread has. Then, you get the sweetness of the baked in raisins and pecans, adding a nice texture as well. 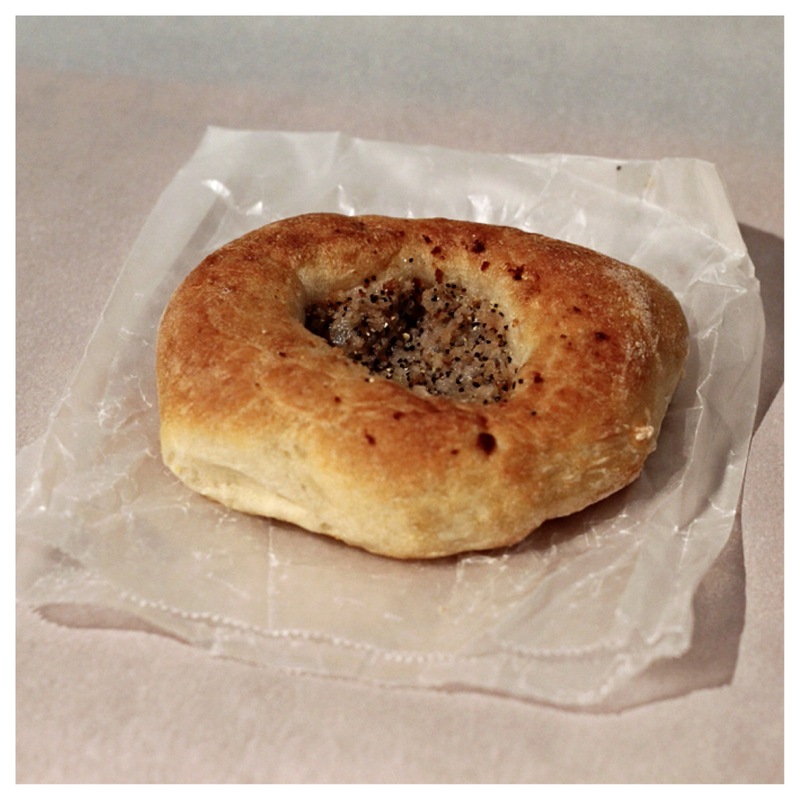 Then, I went for an old familiar item, the Bialy. My family grew up on the Lower East Side in NYC, so, visiting as a kid, we’d always stop by one of the local Jewish bakeries and pick up some fresh Bialys. Since then, they’ve become more sparse, and not as common to see or find. So, this was a nice little surprise, and had to pick one up. Theirs is light, with a nice chew to the bread, and then you have the tiny caramelized onion and poppyseed combination in the center, making it an authentic Bialy. The Long and Short: Would I go back? Yes, they have a cute little cafe there as well, so you can grab a coffee and baked good, or, take it to go. Would I recommend it? Yes, there is a nice variety, something for everyone. And, if you can’t make it to the shop, you can find them at a number of other locations.